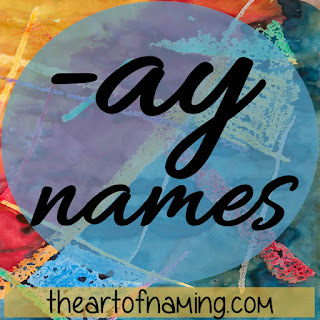 The Art of Naming: Names Ending with the Letters "-ay"
Names Ending with the Letters "-ay"
Welcome to a new mini-series featuring specific name endings. This list will explore the various names that end with the letters "-ay". 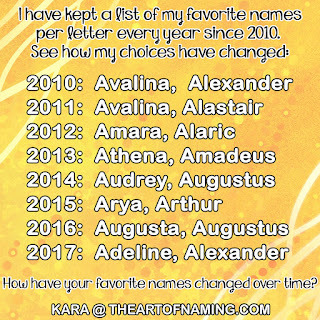 The next article in the series will take a look at "-by" names, followed by "-cy" names, etc. If you are searching for a specific sound and cannot find all that many options, allow me to assist you. This list of names ending with '-ay" is as neatly comprehensive as possible with only the most usable names on it. There many be other spellings that lend to a similar sound but we are focusing primarily on the spelling. Can you think of any names that I may have missed? If not, tell me which of these you like most. Stay tuned for the next article of "-by" names. Thanks for reading!